15 Beautiful Ideas for Realism Tattoos. If you enjoy the look of realism tattoos, you’ve come to the right place. Here are 10 beautiful ideas that really bring the style to life! Whether or not you have gotten a tattoo before, chances are that you have at least thought about it. Though the practice has been around for millenniums, the art form has really taken off in the modern day. 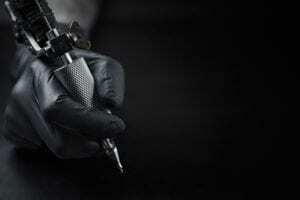 Recently, tattoos have even begun to be more accepted in the workplace. Perhaps you have considered getting one, but you want the tattoo to look pretty much exactly like the image after which it is fashioned. This is called the style of realism tattoos, and there are many truly elegant options for you to consider. Listed below are fifteen beautiful ideas for you. One of the many reasons someone like yourself might consider getting a realistic-looking tattoo is because of its meaning. You are not alone – 43% of tattooed people think that having a personal significance is important. So, what (or who) means a lot to you? A photo-realistic tattoo is great for people that you care about in your life. Have them permanently remembered in this style of tattoo to truly capture their essence forever. Another common meaningful idea for realism tattoos involves your cherished pets. Realism is a great way to capture any kind of animal, so why wouldn’t you consider getting a tattoo of your fur-baby? A realistic image of a human’s face or physique is particularly difficult to draw, and it’s even more difficult to tattoo. Nevertheless, it’s common to prefer tattoos of people in the style of realism to other popular tattoo styles. If you find a tattoo artist that you can trust with such details, a realistic portrait of your favorite historical figure could end up being a very beautiful piece. Though realism isn’t the oldest style of tattoo, there are still certain images and items that are considered to be traditional. If you want to blend the modern style with a classic object, think about navigational tools. It’s easy to think of old-fashioned sailors with tattoos, so imagine how vintage you would feel with a tattoo of their traditional tools. These items would include compasses, maps, or even telescopes. Many people associate these navigational tools with the “journey of life,” so the meaning for one can be as layered as you want it to be. Another traditional tattoo to consider is a watch or a clock. Timepieces are also part of navigation, but there is more of an element of family ties with this one. Think about how watches are passed down through the generations. Maybe you have one within your family – this would be perfect as a meaningful, realistic tattoo. Many people capture their favorite modern celebrities in the style of realism tattoos. These could be artists, actors, or even sports athletes. A more natural approach to realism tattoos is to consider your favorite plant or flower. This is more of a feminine approach to a tattoo, but it would truly make a beautiful image. There is a trend that is becoming more popular within every style of tattoo. People seem to like the idea of having an enlarged eye tattooed on them. You can get as creative as you want with this idea. There could be color, tears, or even light glinting off of the eye, and a proper realism tattoo artist would do a great job of perfectly capturing the details. Realism tattoos do well for images that play with and capture light. Think about the glint of light off of a shining jewel, and you have yet another great idea for your realism tattoo. Tattooing is an art form which has the power to capture other art forms. If you have a favorite sculpture or painting, odds are that it would be both a meaningful, relevant, and detailed tattoo. Talk to your tattoo artist to see if he or she is familiar with the piece before getting started on it. For a larger piece, consider one of your favorite natural landscapes. Snowy mountains, calm beaches, or flowered meadows are all great ideas for realism tattoos. Though they would be ornate and detailed, the simplicity of the concept would be very pleasing to the eye. Another larger idea for realism tattoos has to do with the modern art form of film. It’s okay if you’re really into a certain television series or movie because there is a way to make that a permanent part of your physique! If you are a musician of some sort, you probably have a very strong connection to your preferred instrument. To eternalize the importance it has had within your personal (and maybe professional) life, think about getting a photo-realistic tattoo of it. This might sound a little too much gore for you, but realism tattoos of internal organs are actually starting to be fairly popular. These images sometimes appear as though the skin has been peeled back to reveal an internal organ such as the heart or a section of lung. The last idea for realism tattoos is also another art form. Architecture has a historical and cultural importance throughout time. If there is a certain building that you think is worth to tattoo on your body, by all means, go for it! You deserve to have whatever image you want tattooed, so don’t hold back with your creativity in this department. 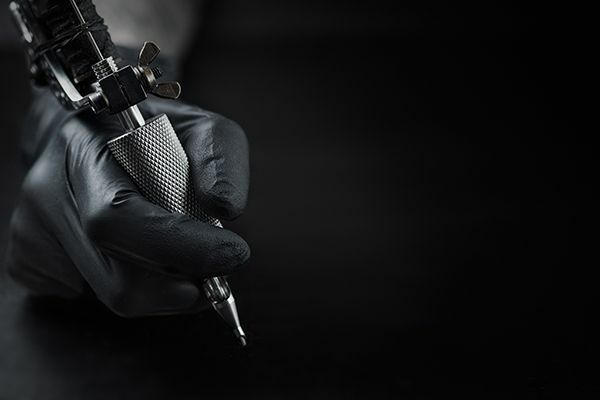 We know how important it is to get your tattoo just how you want it. If you want a realism tattoo or any other style of tattoo, we can assure you that the professional artists we employ will be able to exactly meet your expectations. We encourage you to reach out to us today if you are interested in getting a tattoo. You can contact us here.